Set of 10 Christmas Cookies, each personalised with a different name. 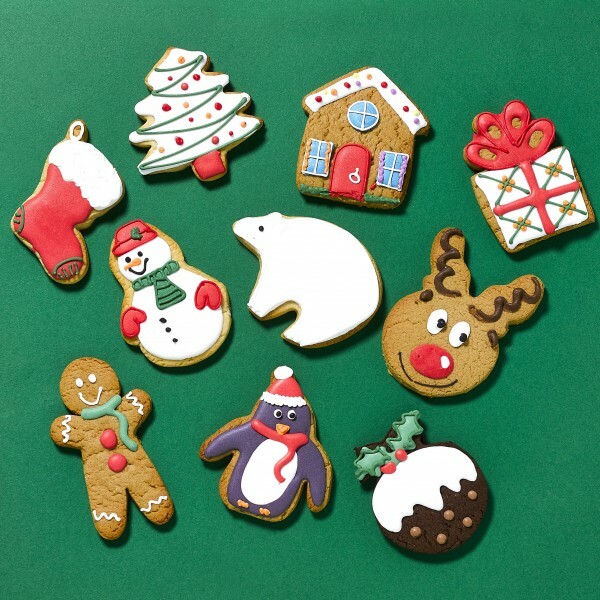 The perfect personalised stocking filler or dinner table favour - each of your guests can have their very own cookie. Christmas favours are a mix of chocolate, vanilla or ginger flavours. Place your order and email cookie names to alli@customcookieco.co.uk. Fantastic cookies! Really yummy and great that you can choose your flavour ribbon colour and what they say!